Each unit uses case hardened bearings designed as specified by the original equipment manufacturer to meet specific radial torque and axial load requirements of each application. These quality case hardened bearings have a higher load capacity that are tough on the outside, yet flexible on the inside. 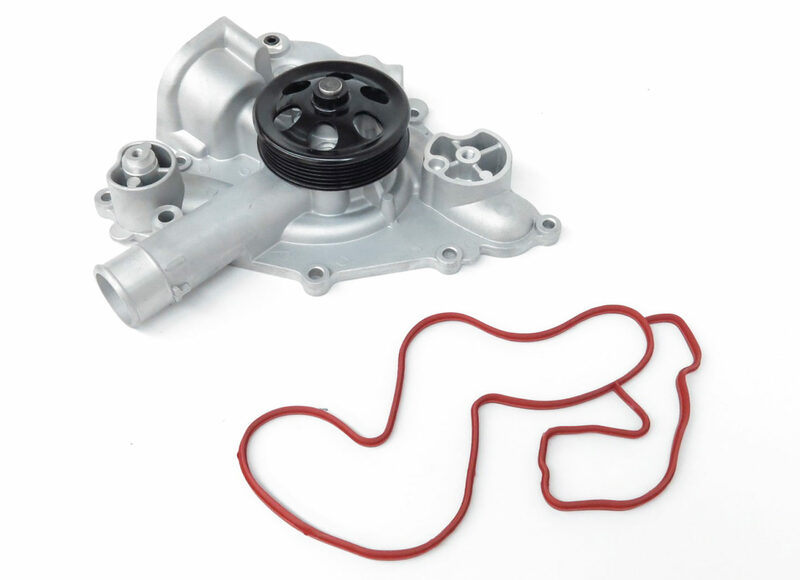 This makes them ideal for withstanding an imbalance or vibration in the cooling system. 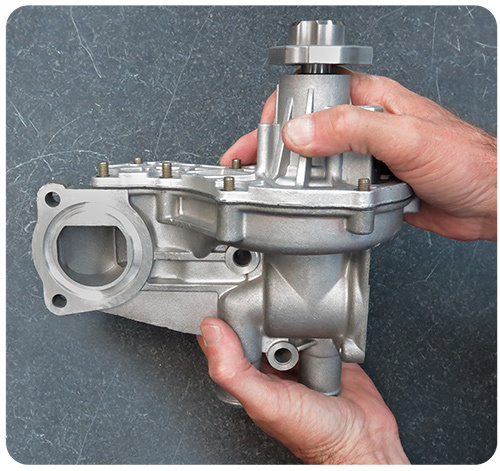 USMW Pro Series water pumps are manufactured to original casting specifications, and then all mounting surfaces are CNC machined. This makes for an easy installation and ensures a precision seal of all mated surfaces. A leak free install ensures long component life and maximum efficiency. USMW Professional Series leads the industry in metal impeller integration. Metal impellers are vastly superior to plastic impellers. 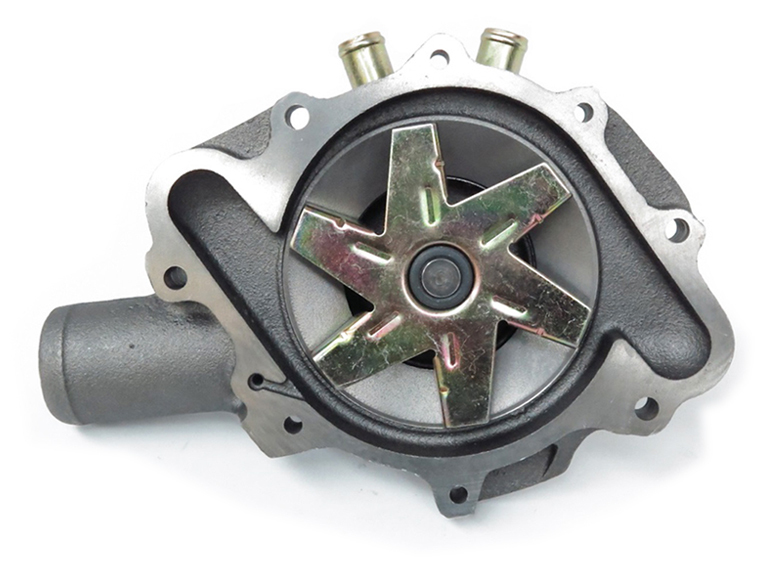 By using metal impellers a water pump is able to handle higher torque forces and higher temperatures. 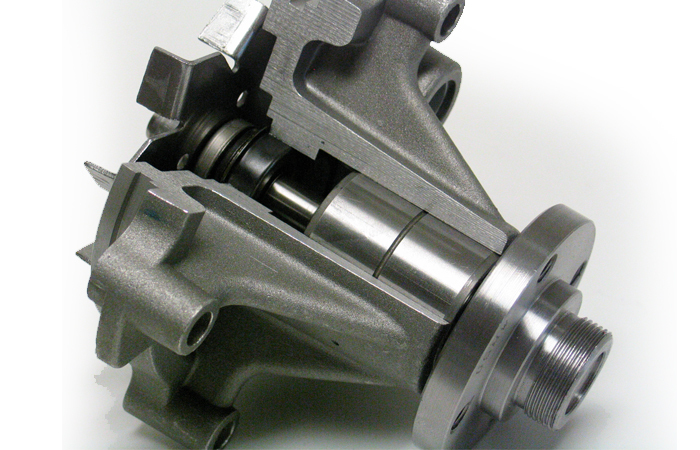 This not only helps improve performance but also combats component fail caused by broken or distorted impellers.